Today was a quiet day, which I needed after the last few busy ones and what promises to be a busy week. 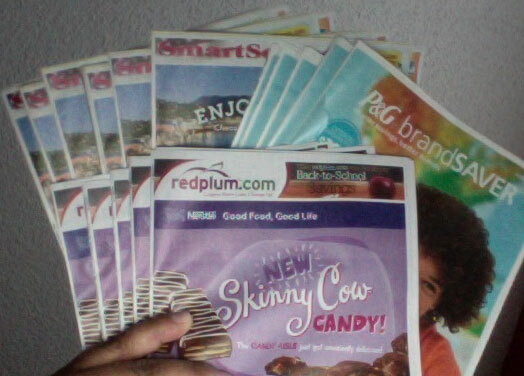 I gathered the weekly coupon inserts, printed other coupons, printed custom shopping lists from Passion for Savings and otherwise prepared for the week's shopping. Then, I blogged about it. Tonight, I'll marinade and apply rubs to the meat I defrosted yesterday to grill tomorrow. I'll grill turkey burgers, chicken breasts, hot dogs and hot links. I love doing this in the summer. I cook once every week to 10 days. I slice up the chicken for salads, sandwiches, pasta and stir-fry. It makes meal prep so quick and easy. I do the same thing in the winter, only in the oven. just discovered your blog. love it! !